Instrument memory for up to 10,000 readings. PC software for analysis, filing and documentation of measurement data. 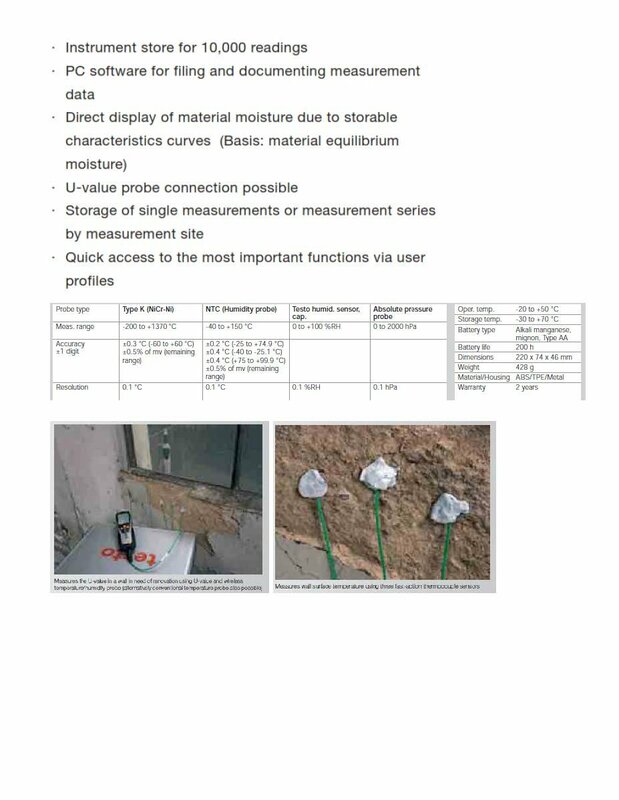 Measurement of air moisture, material equilibrium moisture, pressure dew point. Direct display of material moisture due to freely settable characteristics curves (based on equilibrium humidity). 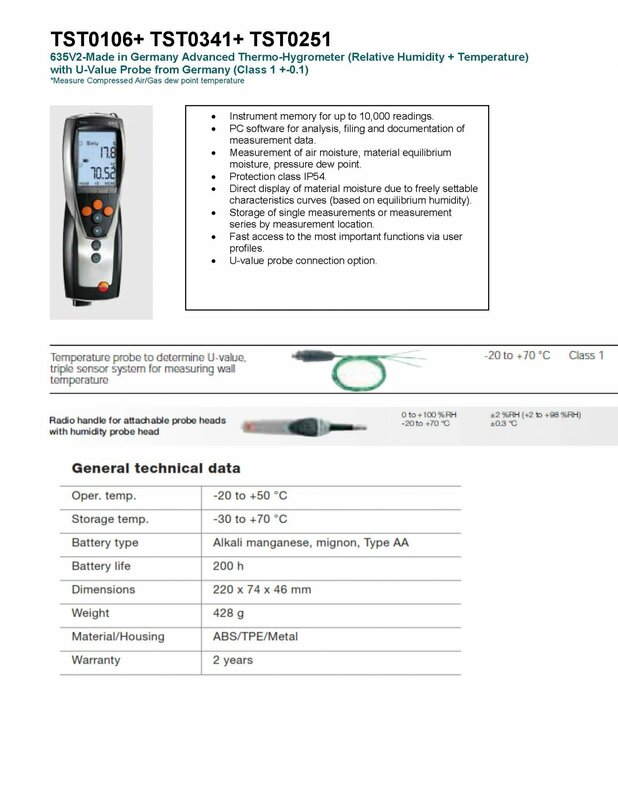 Storage of single measurements or measurement series by measurement location. Fast access to the most important functions via user profiles.